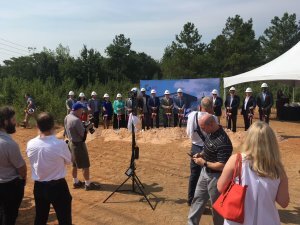 AUGUSTA, Ga. (WRDW/WAGT) – By 2020, the land off I-20 and Riverwatch Parkway will completely transform into the new home of News 12/NBC 26. 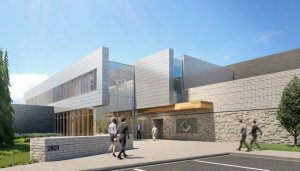 “There’s going to be a noticeable difference in the way we gather and deliver news,” said News 12/NBC 26’s General Manager, Mike Oates, when describing the new opportunities this new building will bring. We’ve been in our current building in North Augusta for 64 years it’s, and it’s time for an upgrade. The man that’s making it all happen – Gray Television CEO Hilton Howell, who likes to think big. Our viewers can look forward to some distinctly Augusta touches – like a putting green and digital billboards on the building, able to broadcast everything from Amber Alerts to Masters coverage. 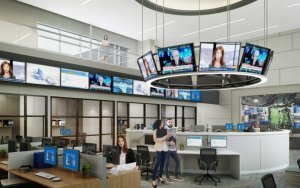 Gray Television is turning that giant plot of land into one of the most modern, high tech news gathering operations in the country, which will mean big things for our viewers. 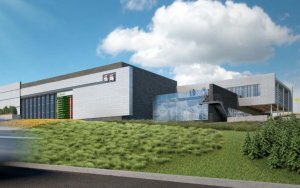 “Make no mistake about the fact that News 12 and WAGT are the absolute news leaders in this town, but this is going to allow us to take another big, big step forward,” Oates said in closing. This new opportunity allows us to be on your side like never before. The plan is to move in to the new building sometime before Masters Week in 2020. Follow News 12 NBC 26 on Facebook and Twitter if you don’t already. We’ll post some behind the scenes footage of the progress. AUGUSTA, Ga. (WRDW/WAGT) – News 12/NBC 26 will be moving to a new building in Augusta in 2019. The Gray TV-owned station has been located in North Augusta for 64 years. 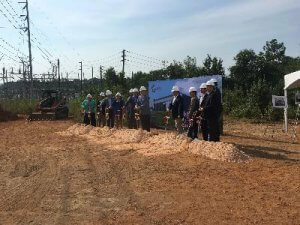 Crews broke ground Thursday morning at 10:00 a.m. at the building site off Riverwatch Parkway and I-20, next to Costco and Cabela’s. The design brings in certain aspects that keep Augusta in mind. 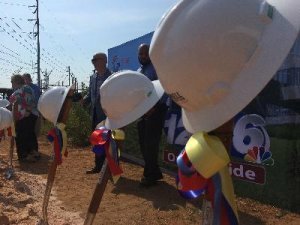 The facility will span about 30,000 square feet. 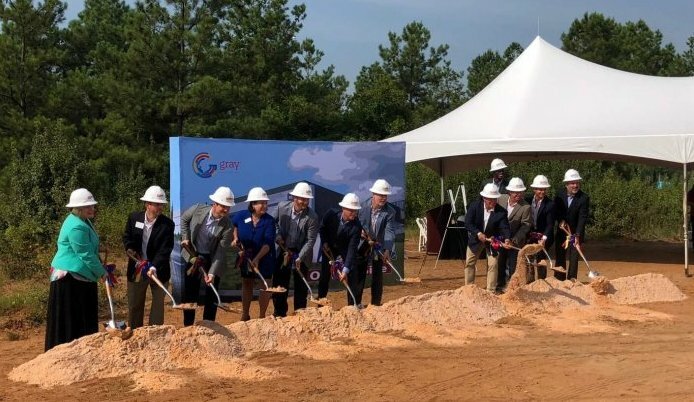 Attending the groundbreaking event were Hilton Howell, President & CEO of Gray Television; Chris Mossman, Regional Vice President, Gray Television; Rick Burns, Vice President of Corporate Relations, Gray Television; Mike Oates, Vice President/General Manager, WRDW/WAGT; Laura Warren, Anchor, WRDW/WAGT; Travis Darnell, President of CT Darnell Construction; Chris Heard, Principal, Hendrix Interior Design; Willis Watts of Willis Watts Design; Sue Parr, President, Augusta Chamber of Commerce; Tiffany Heitzman, Vice President, Columbia County Chamber of Commerce; Ben Hasan, Augusta Commissioner; Trey Allen, Columbia County Commissioner; Doug Flanagan, Juvenile Court Judge; Mark Herbert, Business Owner; and Cal Wray, President of the Augusta Economic Development Authority. 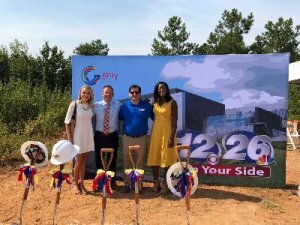 The development of Gray TV’s new station in Augusta will be a state of the art broadcast facility with cutting-edge technology. There will be two stories to the building, one specifically for news use. Gray TV has hired teams out of Atlanta to see the project through to completion. The entire News 12/NBC 26 team is excited and honored to continue serving the CSRA in their new home.